Bottom trawling is hands-down the worst of all possible fishing practices. Weighted nets up to 200 feet long and 40 feet wide are dragged indiscriminately along the ocean floor, laying waste to everything in its path, regardless of whether it's commercially marketable. Uncontrolled bottom trawling can devastate ancient deep sea corals, sponge fields and other unique bottom habitat, along with the fish and other deep sea life that inhabit them. We, who live on land, never see this devastation, but it's not so difficult to imagine: think of clearcutting the ocean floor, mowing down centuries-old coral forests or delicate sponge fields, leaving nothing but rubble behind. Seamount and coral community before bottom trawling (A) and after (B), with bedrock exposed. Photo, with permission, by CSIRO Marine Research. But now, there's inspiring news: a group of nations has agreed to a treaty that establishes conservation strategies for the most vulnerable ecosystems in international waters of the North Pacific Ocean. This treaty-which the U.S., Canada, Japan, Russia, China, Korea and Taiwan, China have been working toward since 2006-prohibits any new bottom trawling unless its impacts on wonders such as seamounts, corals, and deep sea fish are considered and controlled. As a member of the U.S. delegation to these negotiations, I'm pleased to say it will help protect 16.1 million square miles of the Pacific Ocean and the life that makes it home. And importantly, the treaty also creates the North Pacific Fisheries Commission, to implement and enforce the new rules. This treaty couldn't come soon enough. The world's corals and other ocean floor habitats are in serious trouble. Ninety percent of the world's reefs will be threatened within the next 20 years, according to a new report from the World Resources Institute. And bottom trawlers are now capable of reaching farther and deeper than ever before, dragging at depths up to 5,000 feet below the surface, where organisms-many of which are still undiscovered and may hold medical secrets-are often slow to grow and recover. The new treaty is not perfect. It contains weaker requirements than we would like on assessing, monitoring and controlling impacts, leaves an enormous potential loophole in the form of "scientific" or "experimental" fishing," and leaves several very large areas in the southern portion of the North Pacific where bottom trawling will remain completely unregulated. Having said that, this treaty is an important step toward reducing bottom trawling's damage to the North Pacific - if it is rigorously implemented and enforced. That's crucial in international waters, also known as the high seas, which account for half of the planet's surface, but suffer from poor management. Currently, the high seas are regulated by a patchwork of international fisheries management organizations that haven't been able to do enough for fragile ecosystems. The new treaty, which still must be ratified, aims to begin to correct that, at least in the North Pacific when it comes to this devastating fishing practice. NRDC has long pressed the United Nations General Assembly and other authorities to stop unregulated bottom trawling, and we welcome the change that this treaty represents. We believe it signals a new wave of concern for our hidden ocean environments, one that's going forward and building momentum. We will have lots of work to do in the coming months and years to see that this new agreement is properly implemented and enforced, and to fill the gaps it left. But this treaty marks a start, and has moved us one step closer to a brighter future for our children and our grandchildren worldwide - a future where the mysteries of our seas can continue to amaze and inspire imagination, and where its bounties will support livelihoods for years to come. 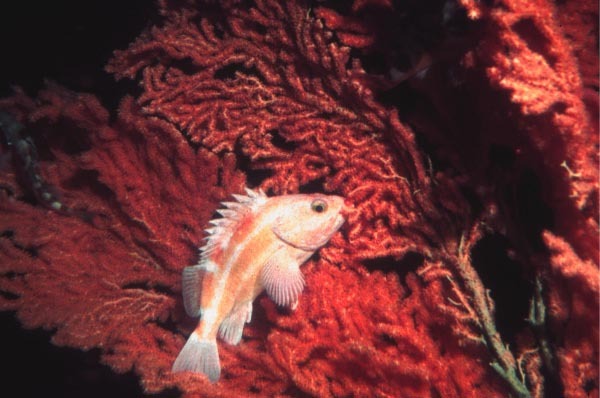 Learn more about destructive bottom trawling, and what NRDC's doing to stop it, here. And for more about the build up to the new North Pacific Fisheries Commission, click here.